Whole home audio systems send music to any room in your Southlake, TX home via a central processor or matrix switcher. The days of a volume knob on the wall are long gone. 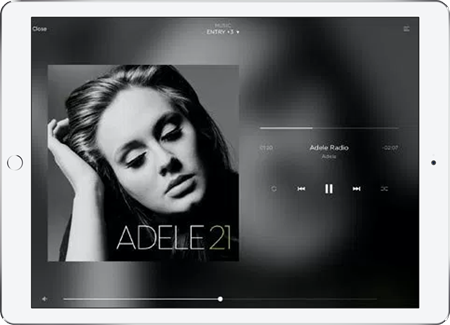 Control of your music is simple and intuitive by means of a touch panel, keypad, handheld RF remote, iPad® or similar Wi-Fi smart device. Whether the speakers are placed in the walls, ceiling, bookshelves, shower or pool, they can be designed to aesthetically blend in to minimize visual impact. In fact, if you can’t get wires to a location, no problem. We have wireless solutions that enable you to enjoy your music from anywhere. 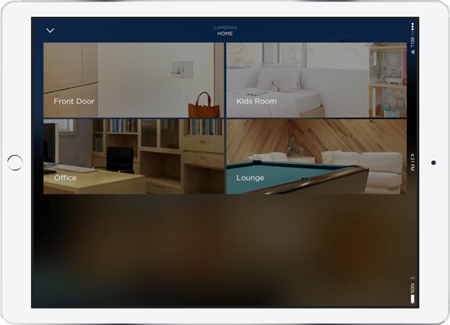 You’ll need fewer components since a single music server or a Pandora station from your smartphone can be shared in one, several, or all the rooms of your home. Custom-tailored home lighting control allows you to change the mood of any area of your Southlake, TX home to suit the occasion. Whether watching TV, dining or entertaining, one press of a button can create the ideal atmosphere you desire. For example, press ‘Goodnight’ to turn all your lights off or ‘Pathway’ to light the way downstairs. 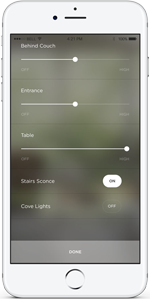 Smart lighting control also contributes to a safe environment by linking with the security system to turn all lights on if uninvited activity is detected. Lighting control systems save energy. New construction or upgrade - let us create a lighting solution perfect for you.